Taurus Cranes have been operating since 2001. The company was formed by the Managing Director Anthony Purves. Since it's start the company has grown year on year. We are now aiming towards ISO9001 accreditation. This forms part of the company strategic planning and aims and objectives. 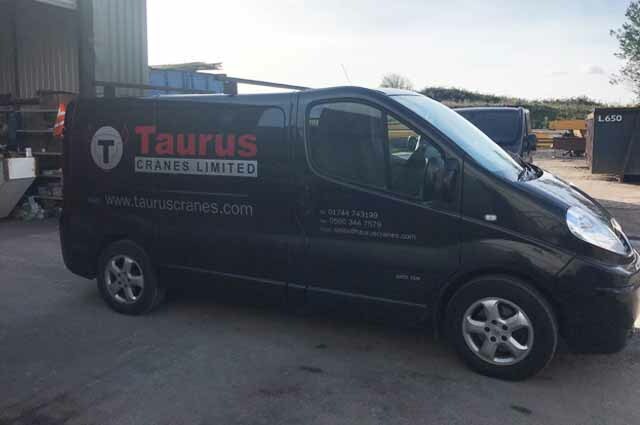 Taurus Cranes understands the criticality of our customers lifting equipment and for this reason prides itself on speed of response to breakdowns and usually guarantees a 2-hour response time to all our customers. We work with our customers to improve efficiencies, products and down time. Taurus Cranes also has a 24/7 breakdown system so you can be assured of prompt response always. We also supply new and reconditioned equipment to suit the customers’ needs and have a large stock of cranes and hoists on site. Taurus Cranes prides itself in quality of service and preventative maintenance. All of our engineers are qualified and experienced lifting equipment engineers. The service we provide will be based around the usage/duty ratings of your lifting equipment. We cover the whole country and all of our engineers carry a stock of spares for most lifting equipment within their vehicles. The service we provide ensures your equipment is covered under the PUWER regulations 1998, which states all work equipment should be 'suitable for the intended use, safe for use..
Taurus Cranes is certified through Achilles. This ensures we have systems in place for our Health and safety, Quality and Environmental obligations. Taurus Cranes is committed to ensure a risk-free environment for all our employees and customers. Safety is our number one priority. We carry out a very stringent self-assessment or all our practices to ensure that only a first-class safe product or service is delivered. Taurus Cranes is a proud member of LEEA (Lifting Equipment Engineers Association). LEEA are a recognised trade association for the lifting equipment industry. They can issue us with advice and information regarding any laws or standard changes to ensure we are always working to the latest editions. They also supply our engineers with detailed training with many courses designed for our industry. So what are you waiting for? Contact us today on 01704 332291! Keep up to date on our news and products. Enter your email below and subscribe to our newsletter. © 2018 All rights reserved. Designed by MCS Group.